Christoph Willibald Ritter von Gluck (July 2, 1714 - November 15, 1787) was the son of the gamekeeper to the Bohemian noble to Prince Ferdinand August von Lobkowitz. He studied music at the Jesuit seminary at Komotau (now Chomutov, Czech Republic) and also in Prague and Milan. In Milan he studied with the Italian composer Giovanni Battista Sammartini. Gluck's first opera, Artaserse, was produced at La Scala, Milan, in 1741. During the following nine years he wrote and produced more than a dozen operas in various European cities. Among these works were Sofonisba (1744) and Artamene (1746). In 1750 he took up residence in Vienna, which was thereafter the center of his activities except for periods spent in Naples, Rome, and Paris. In 1754 Maria Theresa, archduchess of Austria, appointed him director of opera at her court theater. Among the operas Gluck wrote between 1750 and 1760 were La clemenza di Tito (The Clemency of Titus, 1752) and Antigono (1756). Up until 1762 Gluck composed in the contemporary operatic style, cultivated chiefly in Italy, which was marked by music written primarily to give virtuoso singers opportunity to display their skill. As his career progressed, however, Gluck grew dissatisfied with the current conventions of Italian opera, characterized by surface brilliance and over-ornamentation. He began to develop a style intended to restore opera to its original purpose of expressing in music the meaning or emotion conveyed by the words. To this end he also worked closely with the great French ballet reformer Jean-Georges Noverre. About 1760 he became acquainted with the Italian poet Ranieri de' Calzabigi, who wrote a libretto for Gluck that admirably suited the composer's ideas concerning proper balance between words and music. 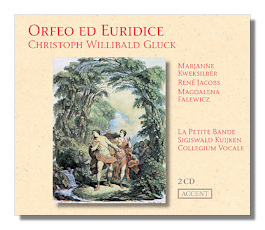 The opera that resulted was Orfeo ed Euridice, which surpassed in grandeur, dignity, dramatic quality, and naturalness anything he had written before; it was produced in Vienna in 1762 with great success. Among other operas in his "grand" manner were Alceste (1767) and Paride ed Elena (Paris and Helen, 1770) on texts by Calzabigi, Iphigénie en Aulide (Iphigenia in Aulis, 1774), and Armide (1777). 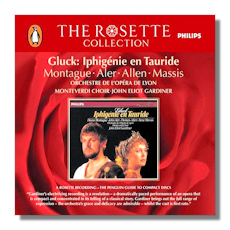 The operatic reforms inaugurated by Gluck met with violent opposition. This opposition was particularly manifest in Paris, where from 1774 to 1781 a veritable war was waged between those who favored the reforms of Gluck and those who championed Italian opera and the Neapolitan operatic composer Niccolò Piccinni. The director of the Paris Opera commissioned the two rivals each to compose an opera on the same text, Iphigénie en Tauride. The Gluck version turned out to be his masterpiece. Produced in Paris in 1779, it met with tremendous success (the Piccinni version produced in 1781, was judged inferior). 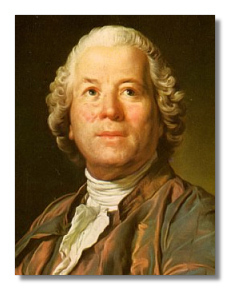 Gluck's reforms made a lasting mark on opera. The principles for which he stood influenced the work of many composers who followed him, including Wolfgang Mozart, Luigi Cherubini, Ludwig van Beethoven, and Richard Wagner.